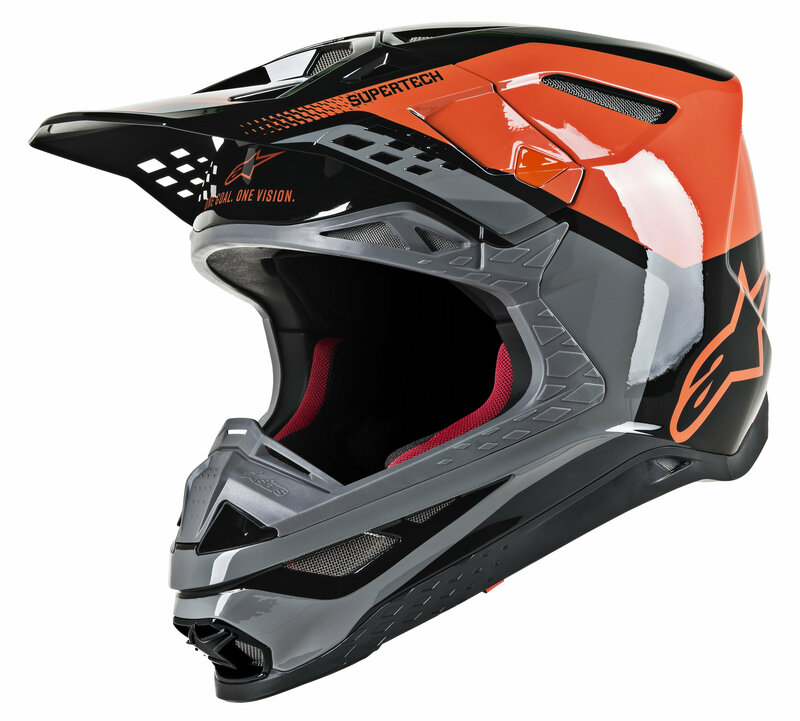 Primary objective: protection – to create the most high performance protection possible. 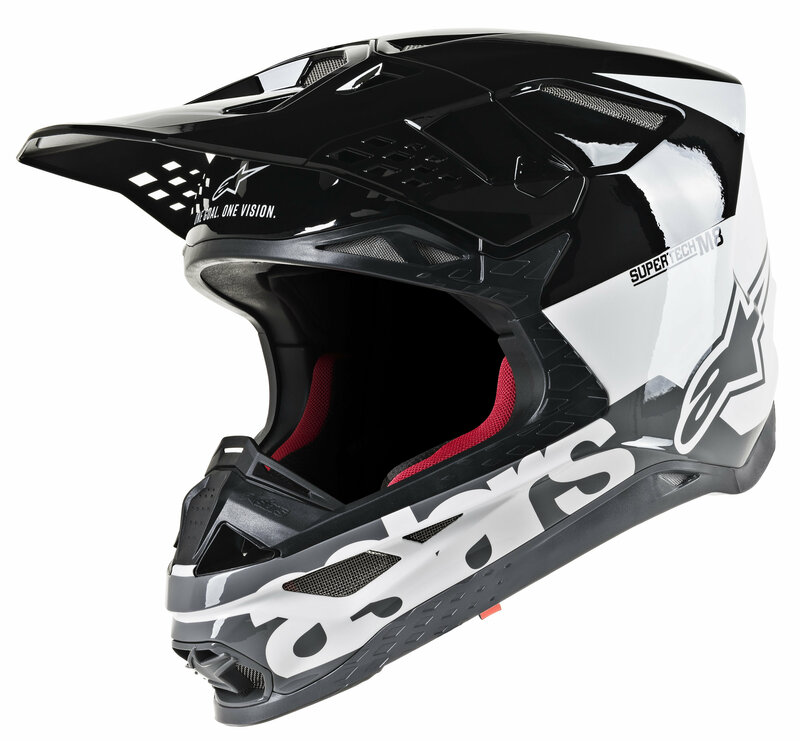 Alpinestars approach to the creation of the advanced technology in the Supertech M8 draws on its depth of experience from over half a decade of world class innovation across the spectrum of motorsports and especially, its deep rooted commitment to motocross. 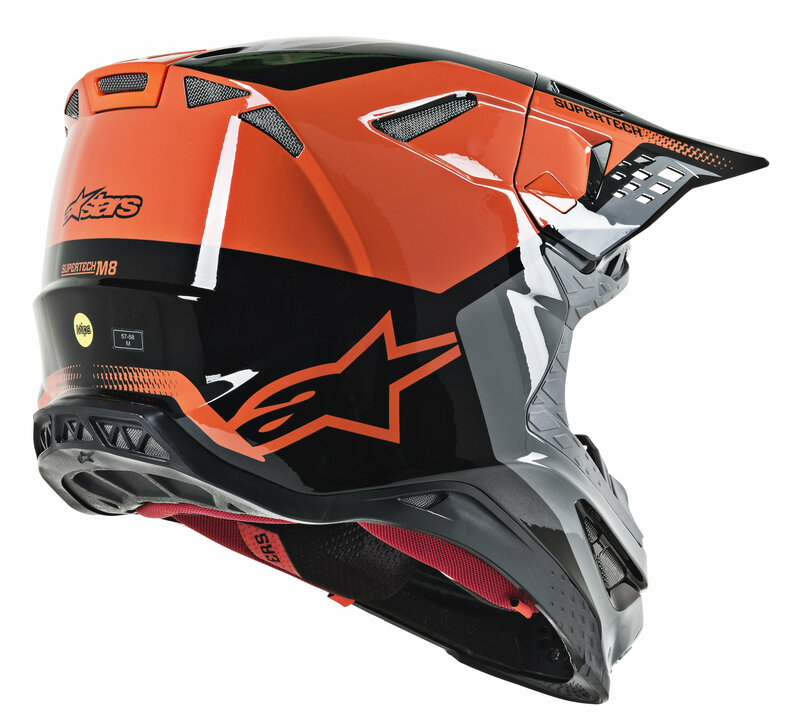 As with all other categories of technology that Alpinestars has mastered, bringing a new, highly complex, product to fruition requires specialist experience and know-how and a project plan led by the best brains in protection development. 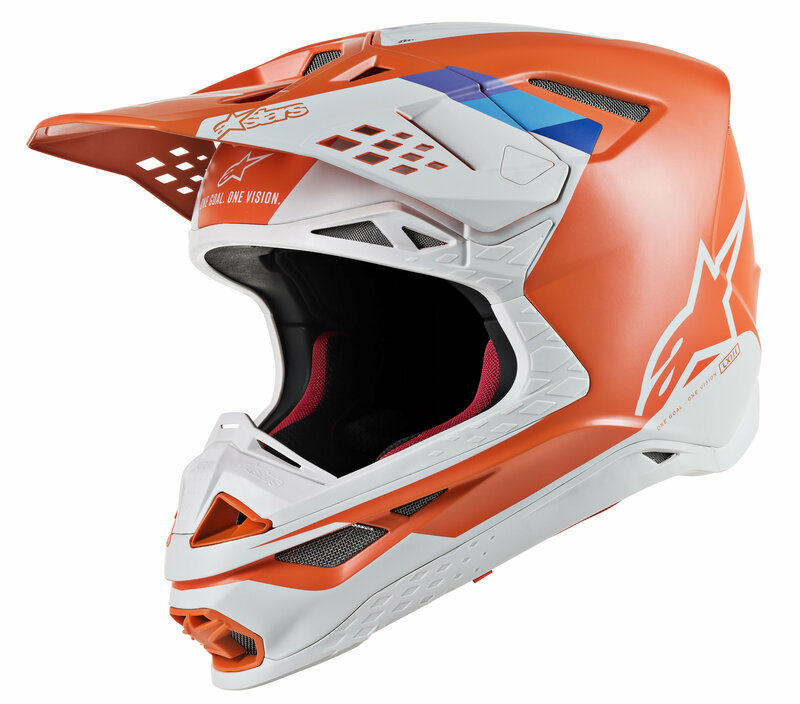 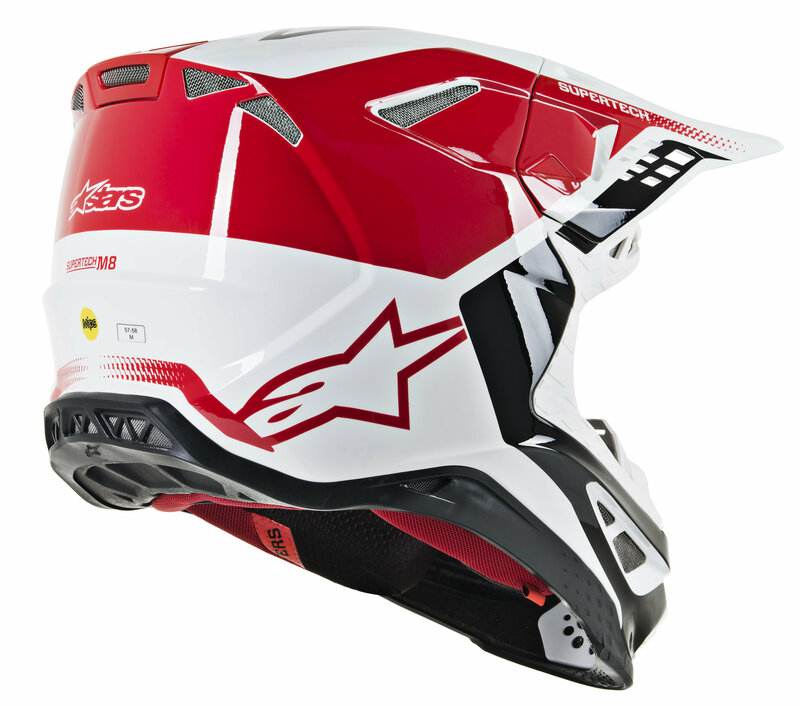 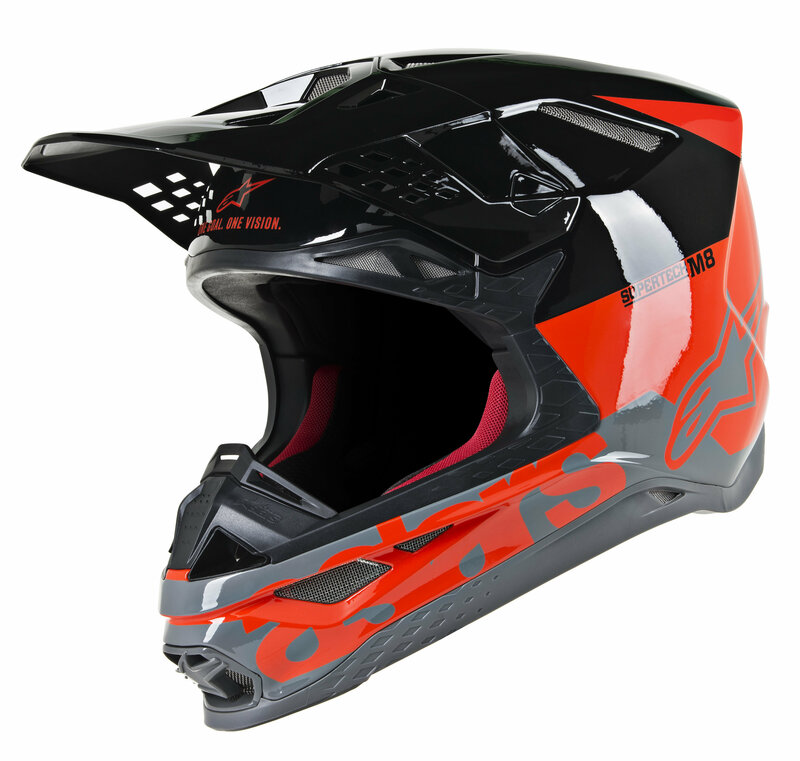 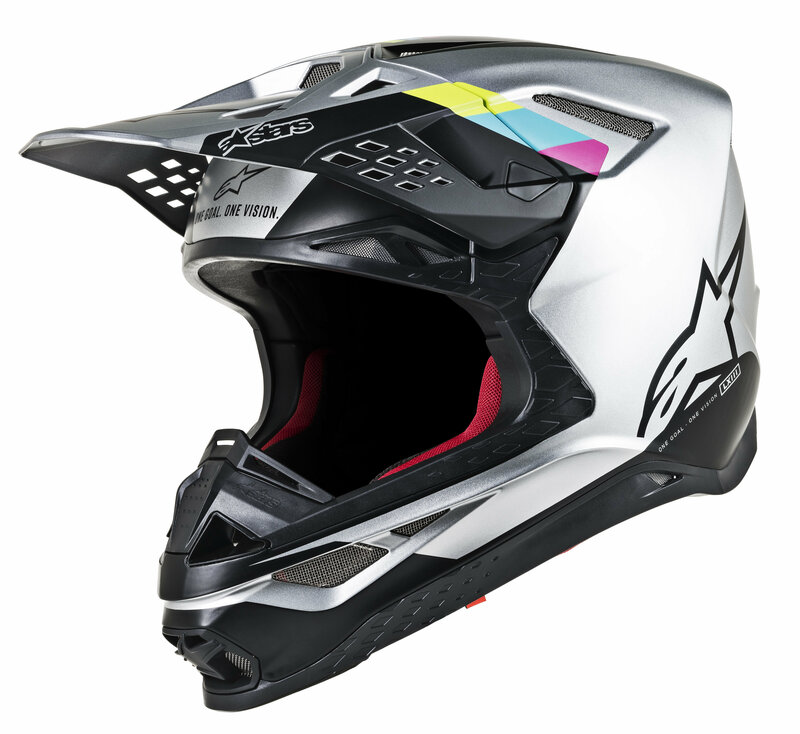 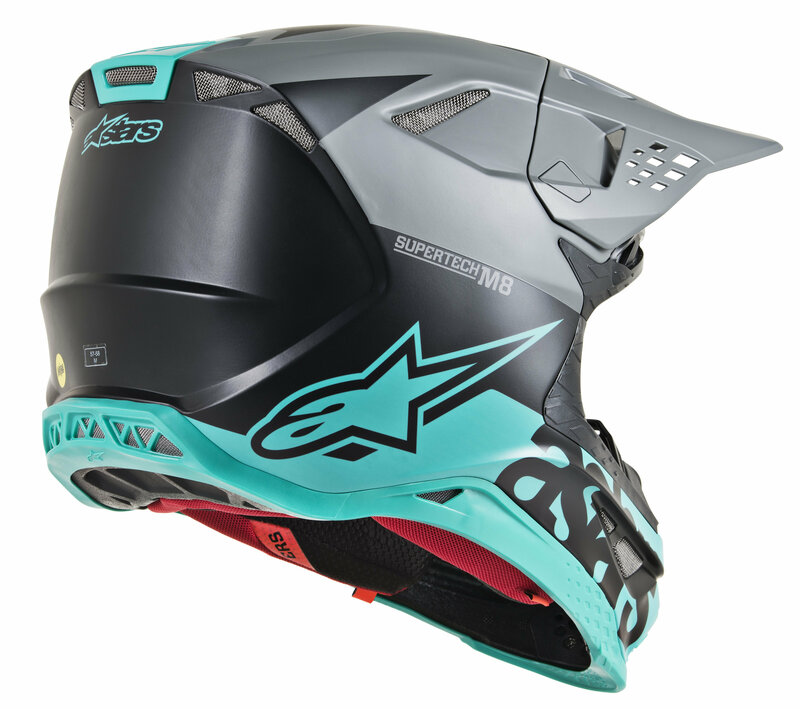 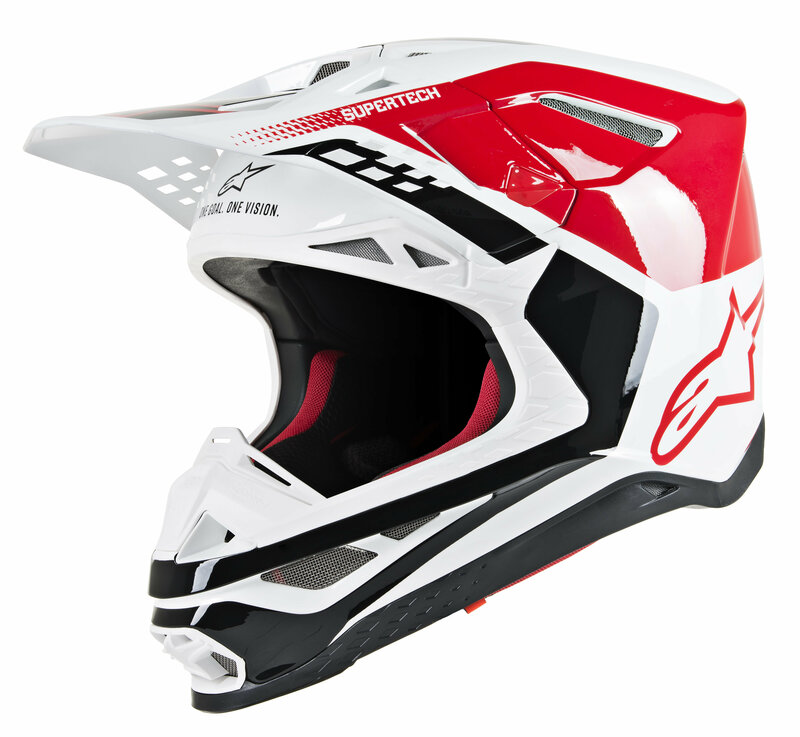 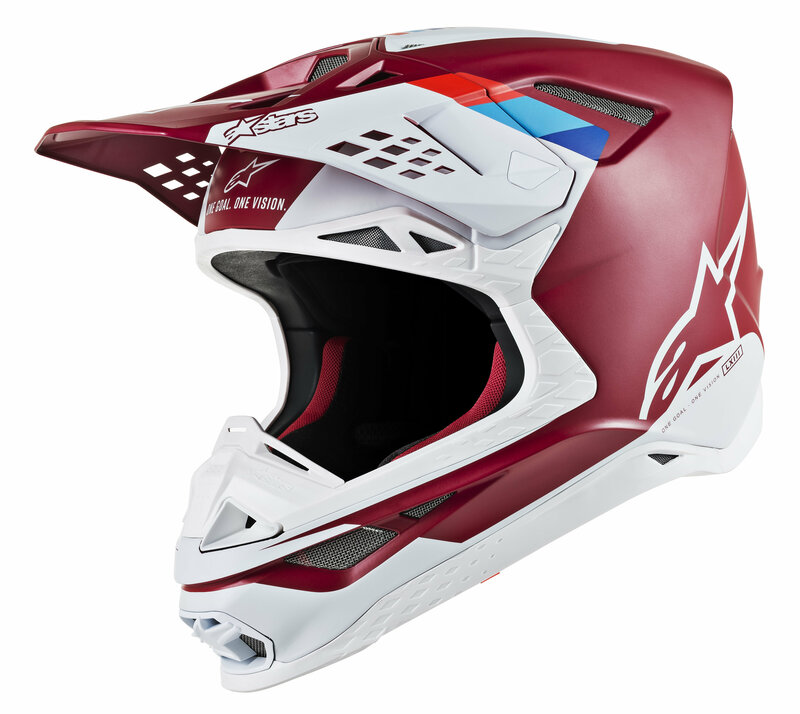 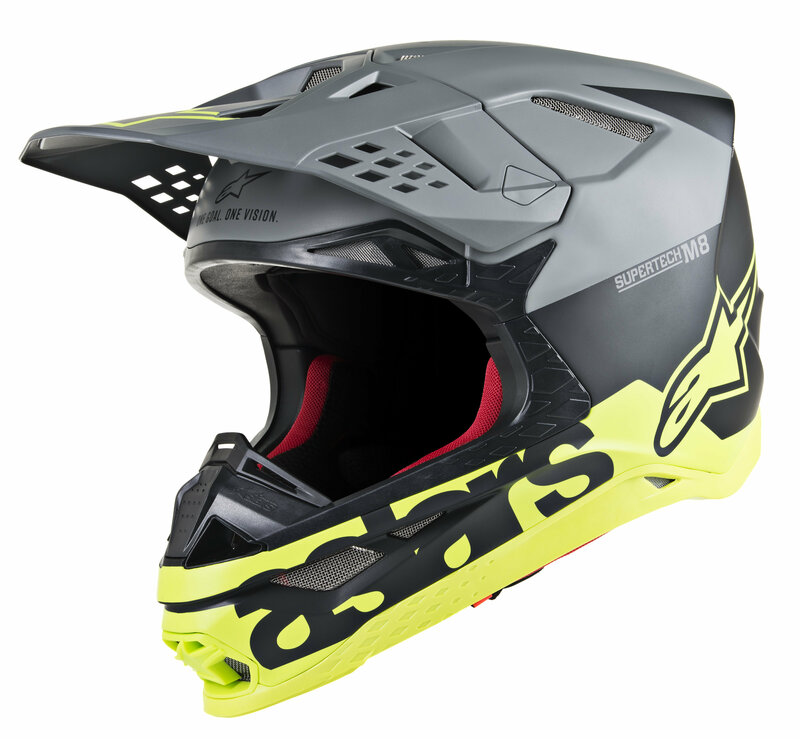 Alpinestars Helmet Development Department was created and given the brief to research and develop the most protective and most comfortable possible motocross helmet. 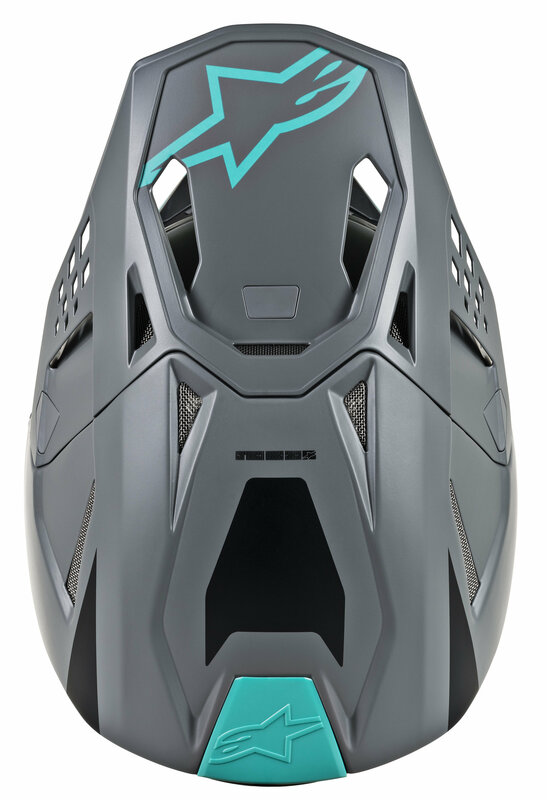 The goal was to allow riders to push the limits of performance, benefiting from confidence inspiring safety technology, reduced weight distribution to minimise muscular effort in the neck, shoulders and back and improved physiological and cognitive performance with a supremely well fitting and well ventilated construction, optimizing comfort while riding. 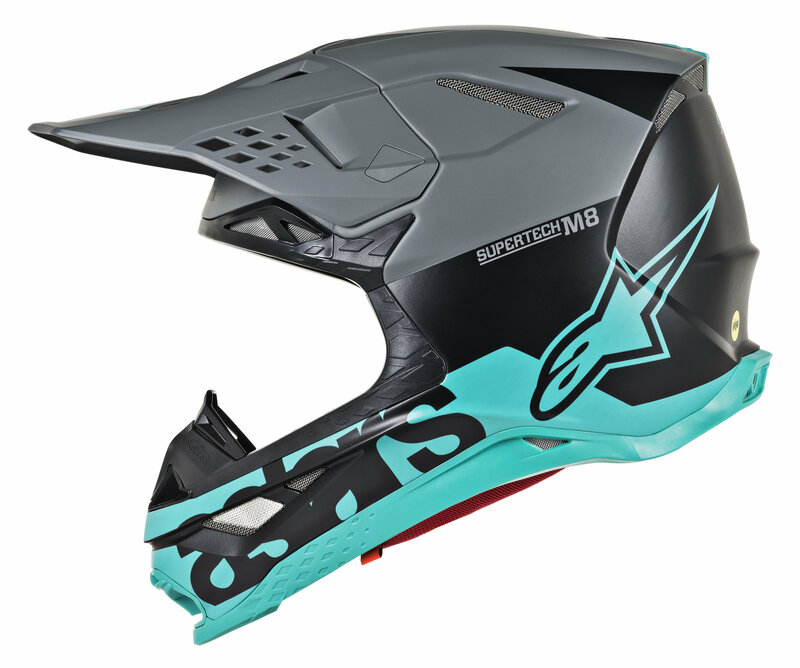 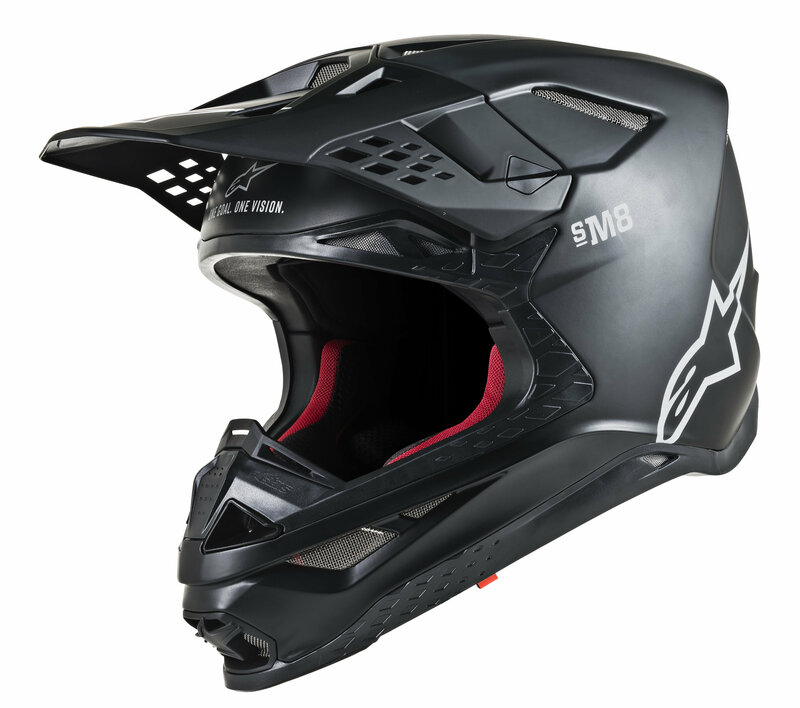 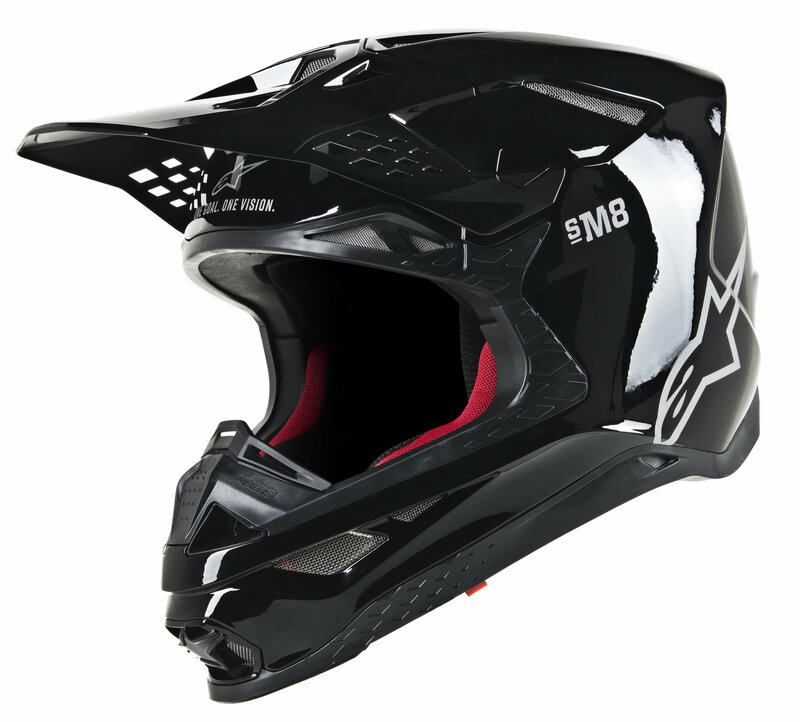 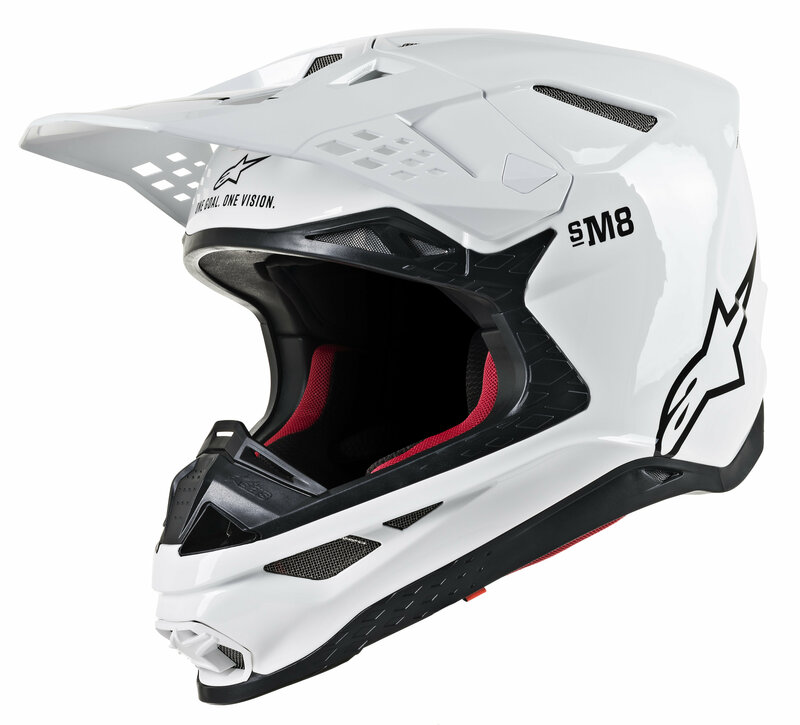 SOLID The S-M8 shell has been profiled with performance as a priority and with a design style that identifies the profile of the helmet and its sculpted surface as uniquely ‘Alpinestars’.